Spend the 9th (Tue) exploring the fascinating underwater world at Sea World Theme Park. Next up on the itinerary: get in on the family fun at Warner Bros. Movie World, stroll through Burleigh Heads Beach, kick back and relax at Surfers Paradise Beach, and take in panoramic vistas at SkyPoint Observation Deck. For maps, traveler tips, more things to do, and other tourist information, refer to the Gold Coast trip website . Canberra to Gold Coast is an approximately 4.5-hour flight. You can also do a combination of flight and train; or drive. 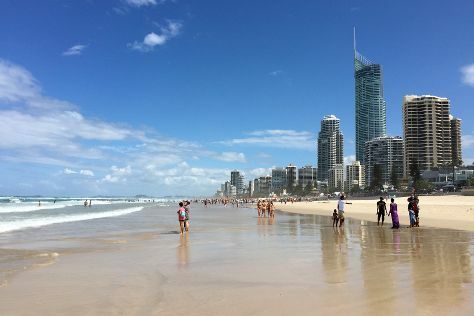 Plan for somewhat warmer temperatures traveling from Canberra in July, with highs in Gold Coast at 24°C and lows at 11°C. Finish your sightseeing early on the 10th (Wed) to allow enough time to travel back home.